The Woods Drapes and Valances will add a rustic whimsical wildlife theme to your living space. Multi color drapes have a color pallet that includes red, brown, blue, honey and cream with coordinating navy blue buffalo plaid valances. Made in the USA of 50% cotton and 50% polyester. 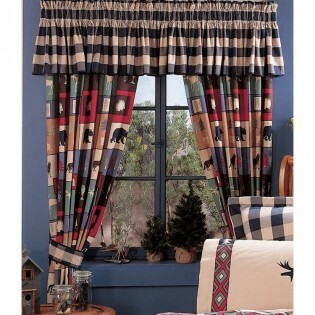 The Woods Drapes and Valances will add a rustic whimsical wildlife theme to your living space. The Multi color drapes have a color pallet that includes red, brown, blue, honey and cream with coordinating navy blue buffalo plaid valances. 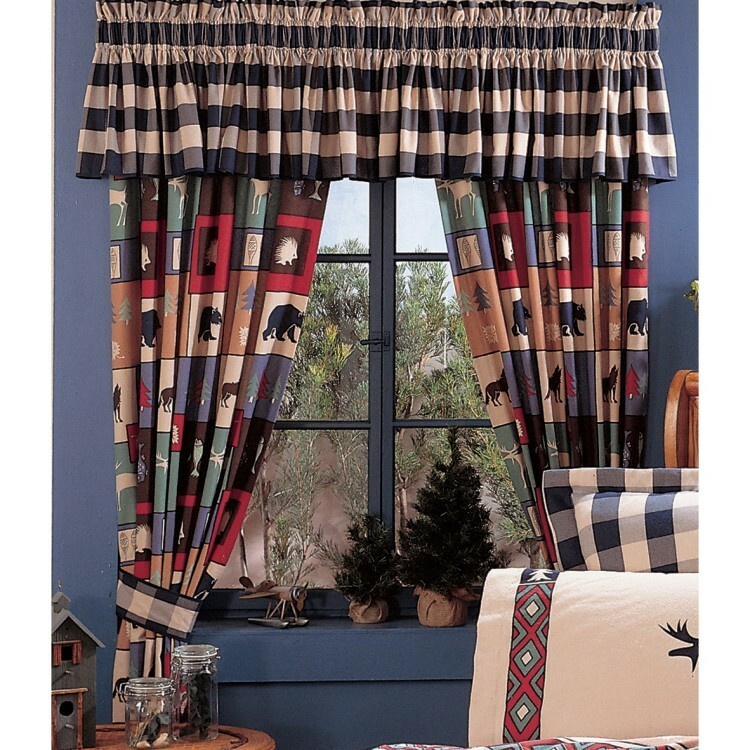 These window treatments feature bear, moose fish and pinetree icons. Made in the USA. The Fabric is a 50% cotton and 50% polyester blend.